"We use it mainly for sending invoices"
"The best home for your money. PayPal"
One of the things I like most about Paypal is the security that this digital platform gives my money. I have been using PayPal for just a few months since January 2019 and during that time PayPal enveloped me in its wonders, I had never tried to make Payments online before, but the technology has advanced so much that it was very useful to create my PayPal account. The best thing is that it is very easy to use as well as to create. To create a PayPal Account you only need to have an Email, by which all transactions will be made. Never before had there been sending money through a mail, but with PayPal is possible. It is the best platform to send and receive money. "PayPal eases online payments and transactions for me"
2. its is easy to set up an account, and advantages for opening a business or personal account are well outlined in the process of opening an account. 9. PayPal is fast and reliable. 10. Now that PayPal in Africa is linked to mobile money services it even easier to withdraw cash from an account as fast. -Changing wrongly spelled Names can be hectic for a person is asked to provide more prove to that they own the account. -PayPal customer services are sometimes responsive but might take longer to reply to an issue regarding an account. 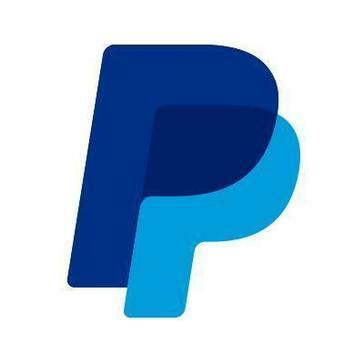 I would highly recommend PayPal for any type of business that involves online payments as its fees are effective and it is easy to withdraw and deposit fund to a PayPal account, it allows user to send customized invoices and even reminders for late Payments, users are also allowed to add their bank accounts as Payment method, so can pay even without a balance in your PayPal account. 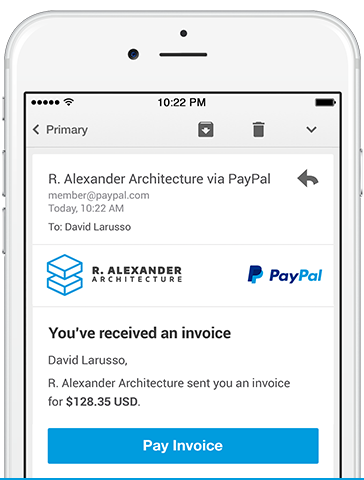 PayPal has helped my company set an automatic payment to employees after every month and it never fails, it easy to view your transaction history, send invoices to clients and even shop for work materials online, PayPal has more benefits like it really saves time and money as the transactions fee are cost effective. "Paypal, una pasarela de pago, rápida y segura." Lo mejor de Paypal es la velocidad con la que se ejecutan los pagos, ya que son casi inmediatos, ya que el máximo de mis pagos ha demorado 5 minutos cuando la red funciona algo lento, pero normalmente en menos de 1 minuto ya se procesa el pago. En términos de seguridad, creo que es muy útil medir 2FA a través del sistema SMS de su teléfono móvil, ya que es casi imposible que me roben sin tener mi contraseña de PayPal y mi teléfono físicamente. También es muy confiable comprar ya que, como compradores, estamos cubiertos por el servicio de garantía de Paypal que brinda el derecho de devolución hasta 6 meses después de que se realice el pago. Si bien, como comprador, el uso de Paypal es muy bueno, cuando usted es un vendedor, prácticamente se pierde si alguien quiere engañarlo, ya que es imposible demostrar su inocencia, incluso al grabar videos de cómo se empaqueta y se envía el objeto. , Paypal siempre le da la razón al comprador. Como comprador, recomiendo Paypal a todos, ya que ofrece mucha seguridad contra las estafas de personas malintencionadas, como vendedor, solo le recomiendo que lo use si está seguro de que las personas que compran su producto no actúan de mala fe porque En caso de disputa que seguramente perderá. Con Paypal podemos vender nuestros productos en línea y ofrecer este servicio como medio de pago, ya que ofrecen formas de integrar su sistema de pago a su página web, que es muy fácil de configurar, ya que solo tiene que configurar algunas opciones una vez que haya Integrado en nuestro sitio web. "A good platform with online system for money transactions. " A platform to make payments and transfers between users, with data encryption to safeguard all the operations you carry out online from anywhere in the world by connecting to the internet, and the entire process is done at the moment. Despite being an effective system to make transfers quickly, sometimes you must update the browser or the same page of the platform to verify your transactions. It is advisable not to use this platform for both the sale of items or products, since it is necessary to consider that you do not have reliable protection to sell, you may lose your item or money when negotiating with people of bad intentions. I recommend it for transactions, payments and secure purchases, it has a simple interface that helps you and facilitates the process, you work with this platform all over the world through the internet. An effective tool to make payments and transfers to any user from anywhere in the world in a safe and reliable way because it safeguards all your information with data encryption. "Great services! I always use it." PayPal is the best means of payment the line that I have found throughout the web, is fabulous, because I can buy at Amazon and almost anywhere thanks to this form of payment, plus I feel my money protected by buying through PayPal, because I do not need to place any personal data on any sales website, but PayPal does all the work, so I avoid scams, I also like the security that PayPal offers me when buying, because if my product is not the expected, I can simply ask for the refund of my money, quickly and easily, without any problems. I like in turn that the platform is very easy to use, I can make and receive payment in less than 5 minutes, I can send a direct payment request to my customers and it does not take me much time. I am very distracted, so I had an inconvenience with the platform and I immediately contacted technical support and they attended me instantly, the service was very professional and the treatment was very friendly. I think PayPal is the best option when it comes to buying and receiving payments online. I like PayPal, there's really nothing I can say that I dislike to the extreme. However, if I had to improve the platform, the first thing I would do would be to improve the commission prices I would set an average commission for the seller and for the buyer, because if it's excellent that you don't pay a commission when you charge, but it's unpleasant that they discount you a 10% commission when you sell, I think the point in life is the balance, then I think that both parties should pay the commission so that the percentage is lower. On the other hand I would reduce the waiting time with regard to transferring the balance to my bank account, I consider that 3 days is a long time, as a customer I would like to have my money as soon as possible, if they could shorten the time would be very useful. Nothing is better than feeling that your money is on right hands. They take care of you and your satisfaction with their services. PayPal has helped me to grow as a professional, because thanks to it I can offer my services globally and without any inconvenience, because through the platform I can receive payments, the best thing is that from the same interface I can make the currency exchange and the commission for the service is not very high. "Excellent electronic payment method for virtual stores." PayPal is a very secure online payments platform, with it I can send and receive money very easily, offers business account with excellent options that can help your business to be updated, also has different forms of integration for web pages and Applications. I would like the web version to be updated in real time, since when I make a transfer I can not see it until the page is updated, I also think that the commissions are a bit high among the same PayPal users. It is a very good tool if you want to grow your business, because it offers excellent innovative options to be updated in terms of current forms of payment. With this platform we have been able to update our payment methods, since with PayPal we have a totally online payment method, which allows our customers to pay quickly and with their credit or debit cards from the comfort of our website. He estado usando PP por 13 años personalmente y como una cuenta comercial desde aproximadamente 7, sinceramente lo mejor de PayPal es la seguridad que ofrece a los usuarios que su dinero no desaparecerá o que algún usuario malintencionado no hará trampa y perderá su dinero. ya que PayPal le asegura al usuario el dinero en su cuenta. Con el pago de PayPal, una multitud de servicios desde hospedaje hasta compras en tiendas como eBay, su sistema de disputas garantiza que, en caso de incidencia, PP establecerá un mediador para investigar su caso, de modo que si un comprador no recibe su mercancía o no funciona. Como debe ser muy probable que reciba su dinero, incluso si el vendedor se niega. Otra gran característica de PP es la posibilidad de vincular sus tarjetas de crédito o débito a su cuenta de PP para hacer uso de sus fondos, también puede vincular cuentas bancarias desde las cuales enviar fondos a su cuenta de PP para realizar compras o viceversa, envíe su Fondos PP a su cuenta bancaria, esto llega muy rápido y sin comisiones. El sistema de disputas siempre favorece al comprador, independientemente de la evidencia con la que contribuya, si usted es un vendedor y alguien afirma que ha perdido el seguro de dinero sin importar lo que haga. Las tarifas a veces son exageradas, especialmente si hay un cambio de moneda porque se acumulan, es decir, usted pierde cuando cambia de moneda porque PayPal no paga el cambio muy bien y luego tiene la tarifa de envío. Le recomiendo que use Paypal para pagar todas sus compras, ya que la seguridad que se proporciona al vendedor no tiene ningún otro medio de pago, puede estar seguro de que su dinero estará seguro. Además, no hay ningún cargo adicional para la cuenta. Necesitaba una pasarela de pago bien conocida que brindara seguridad a los usuarios al realizar sus compras y también me permitiera como vendedor retirar mis ganancias a mi cuenta bancaria de manera rápida y sin costo de PayPal o banco. "An easy alternative to get and send payments"
PayPal is a very versatile platform to receive and send payments, they only charge a small fee when you receive the money, and that's it, they won't take any additional money from you. As PayPal is accepted across various platforms, you can use it to pay everything, from buy products and services online, pay hotels and flight tickets and more. Creating an account on PayPal is also free, and once you have your account verified, you can use it without problems of any kind. Sometimes PayPal, without any particular reason, limits your account to ask you some documents and payments proofs according to each case. When this happens you will not be able to make any money movement, and this can cause severe delays in payments and other problems, and even if you send the correct documents, that's not a guarantee that you will get back your account. If they decide to close your account, they will not give you a good reason about it (if you have everything legal), and you will have to wait 180 days to get your money back. Keeping this in mind, the best that anyone can do is to make sure that they can justify the payments received and sent, and make everything as legal as possible. Be careful when using PayPal, verify your profile with real data, and always keep your payments received invoices archives just in case Paypal needs additional information. 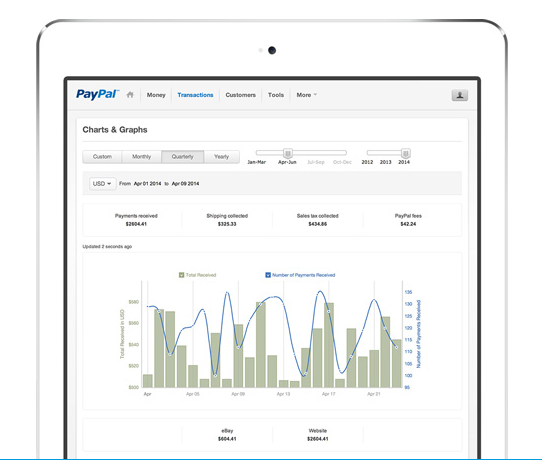 Paypal is the fastest and easiest way to receive the payments from clients and, also, send payments to the service and products providers of the company. "Paypal, ein Zahlungsgateway, schnell und sicher." Das Beste an Paypal ist die Geschwindigkeit, mit der Zahlungen abgewickelt werden, da sie fast sofort erfolgen, da meine Zahlungen maximal 5 Minuten in Anspruch genommen haben, wenn das Netzwerk etwas langsamer läuft. Normalerweise werden Zahlungen in weniger als einer Minute bereits verarbeitet. In Bezug auf die Sicherheit halte ich es für sehr nützlich, 2FA über das SMS-System Ihres Mobiltelefons zu messen, da es mir fast unmöglich ist, mich ohne PayPal-Passwort und Telefon physisch zu stehlen. Der Kauf ist auch sehr zuverlässig, da wir als Käufer von dem Paypal-Garantieservice abgedeckt werden, der das Recht zur Rückgabe bis zu 6 Monate nach Zahlungseingang bietet. Obwohl als Käufer die Verwendung von Paypal sehr gut ist, sind Sie als Verkäufer praktisch verloren, wenn jemand Sie betrügen möchte, da es unmöglich ist, Ihre Unschuld zu beweisen, selbst wenn Sie Videos aufzeichnen, wie das Objekt verpackt und anschließend versendet wird Paypal gibt dem Käufer immer den Grund. Als Käufer empfehle ich Paypal jedem, da es viel Sicherheit gegen Betrügereien böswilliger Personen bietet. Als Verkäufer empfehle ich Sie nur, es zu verwenden, wenn Sie sicher sind, dass die Personen, die Ihr Produkt kaufen, nicht in bösem Glauben handeln Im Streitfall werden Sie sicherlich verlieren. Mit Paypal können wir unsere Produkte online verkaufen und bieten diesen Service als Zahlungsmittel an, da sie Möglichkeiten bieten, Ihr Zahlungssystem in Ihre Webseite zu integrieren, was sehr einfach ist, das System zu konfigurieren, da Sie erst einige Optionen konfigurieren müssen in unsere Website integriert. "A trusted processor with easy integrations"
There are so many different ways to utilize PayPal to receive payments. From in person payments with a card swiper, virtual terminal options, invoicing options, integration into POS and E-Commerce software, the PayPal.me link, to even just having someone send to a registered email, there are so many ways to utilize PayPal to get paid. Like any processor, they take a percentage and fees out. In some instances, these can be higher than you could negotiate with some processors and gateways. Additionally, support on a business account is good but not great. When I have issues with a transaction or my account I can be on hold for a bit waiting. 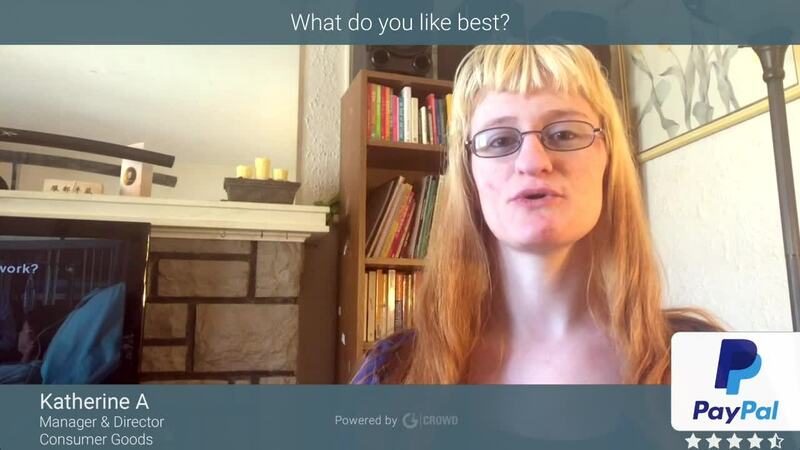 Get an idea of how you'll be selling (online, in person, on the go, etc...) and figure out the best solutions available (or make your own) that integrate with PayPal. Additionally, keep in mind what your service industry is because there are certain industries that PayPal does not allow, like cryptocurrency sales, pornographic sites, online gambling and more. Chances are most people will not fall into these disallowed services but I'd check to make sure before taking the time to setup and integrate. PayPal is the simplest solution for having one place for all my transactions to flow through. This helps a lot on the accounting end, but thanks to their system, it's easy to get all my sales points setup and flowing correctly.